— IMD predicts heavy rain for Odisha in the next 48 hours. 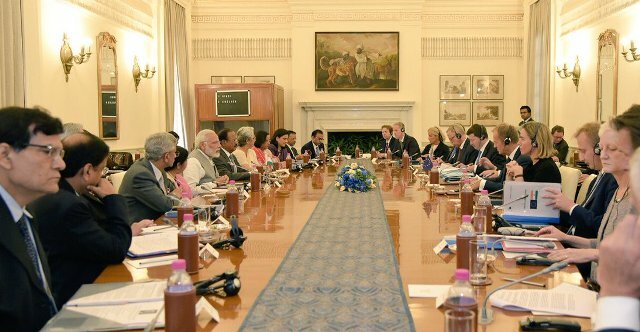 — 14th India-EU Summit: PM Modi holds delegation level talks with Donald Tusk, President of European Council & Jean-Claude Juncker, President, European Commission at Hyderabad House. — Sasikala granted parole for 5 days to visit her ailing husband. — Supreme Court appoints Amicus Curiae to assist in Mahatma Gandhi’s assassination case. — After concluding his 4-day visit to Djibouti and Ethiopia, President Ram Nath Kovind leaves for India. — J&K: Mobile internet services suspended in Srinagar & Budgam dist amid protest call by separatists over hair chopping incidents. — Japan: 6.0 magnitude earthquake hits near Fukushima nuclear plant.